Magic is in the air on Tennis’ brand new EP. A warm, dynamic explosion of spellbinding melodies, evocative soundscapes and intimate lyrics, We Can Die Happy pulls listeners deep into the band’s dreamy world and never lets us go. 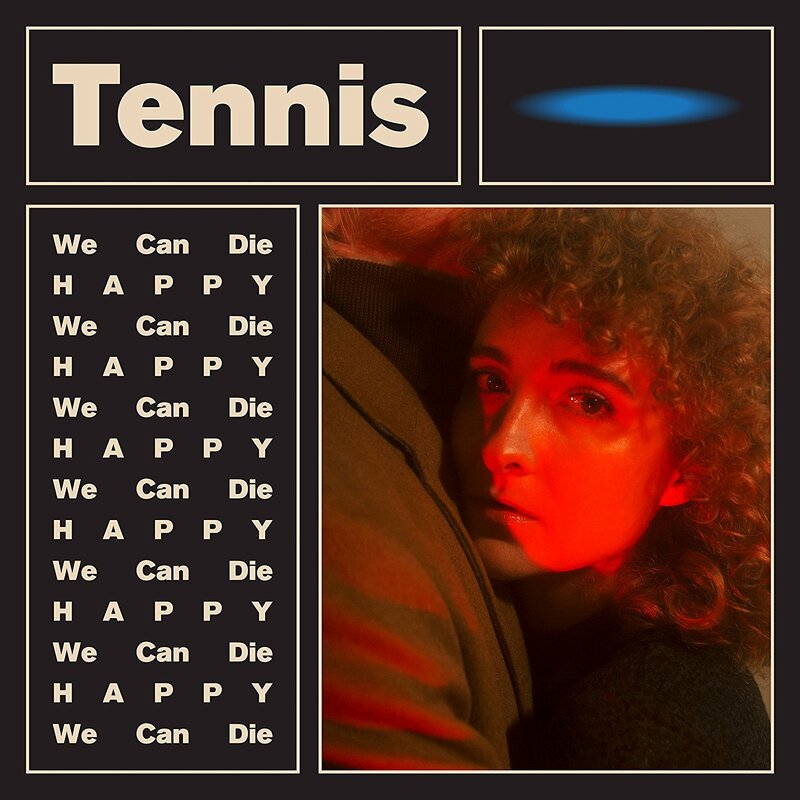 Out now on the band’s own independent label Mutually Detrimental (via Thirty Tigers), We Can Die Happy is an unexpected, but pleasant surprise from Tennis, who independently released their fourth album Yours Conditionally just seven months ago. The EP finds the wife-husband duo of Alaina Moore and Patrick Riley basking in the afterglow of a worthwhile risk that could not have gone better: Going fully independent. Yours Conditionally was a test for Tennis, and though they didn’t come out and say so on the album, its music certainly tapped into existing frustrations and tensions – several songs explore the individual’s relationship with external forces, and the fight for control of the narrative. The record has been Tennis’ most successful release, performing particularly well on vinyl – where it charted in the mid-year’s top ten list of best-selling albums, in-between Prince and the Revolution’s Purple Rain and Pink Floyd’s The Dark Side of the Moon. Tennis are in good company, and their EP certainly reflects something of a celebratory atmosphere. Still, don’t let an exultant title fool you: We Can Die Happy is not a “happy-go-lucky” record. Tennis take a big sigh of relief, and then, with refreshed gusto, continue to dive deep into human emotions, internal and external relationships, society’s norms, and more. Take, for example, “Diamond Rings” – an introspective review of marriage from Moore’s female perspective. The song is intense, but lilting and fun at the same time. If you’re not paying attention, Moore’s poetry might fly past you altogether – but a careful listen results in a much more intimate experience. Tennis embody this deep/fun dichotomy throughout their record – as a band, it’s one of their many strengths. Lead single “I Miss That Feeling” – around which the EP was written and recorded – dances with the individual’s connection to anxiety, suggesting one might get more out of embracing their flaws than by trying to overcome or suppress them. All in all, We Can Die Happy is a clever, colorful and catchy invitation to bask in the vibrance that is Tennis’ spirited sound. Whether you take the record as Yours Conditionally Pt. 2 or as a standalone set of songs, Tennis’ new EP is a magical end-of-year gift – something totally out of the blue and unexpected, promising endless enjoyment and worth every repeated listen. Earning a 9.9 out of 10 for us, We Can Die Happy‘s only drawback is its brevity – clocking in at a quick seventeen minutes, the record is but a brief dip in and out of Tennis’ pool. Stay tuned for Atwood Magazine’s exclusive interview with Alaina Moore, and dig deeper into Tennis’ music below!